The comma unit contains . . .
--Four comma worksheets for practicing the six comma rules--with answers for all worksheets. 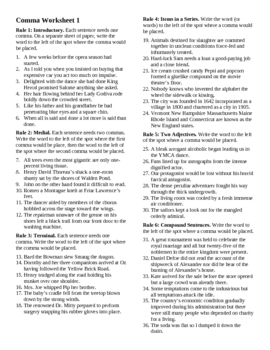 --A document you can use along with a video projector for teaching the six comma rules. --Two types of comma tests: one to use with a scantron, one to write on. The scantron version also comes with a practice test.